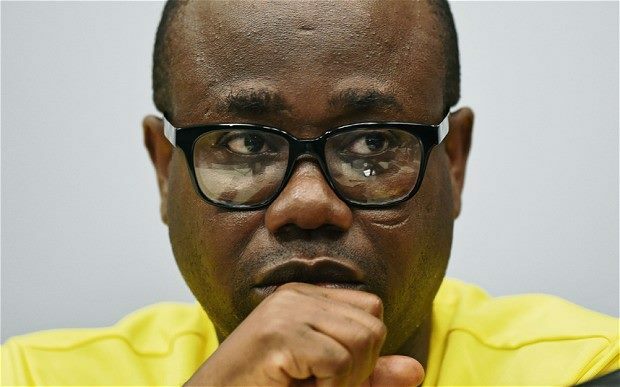 An aide to Kwesi Nyantakyi, Martin Luthor Obeng, has suggested that the former Ghana Football Association President may have been the victim of a conspiracy to prevent Morocco from winning the rights to host the World Cup in 2026. 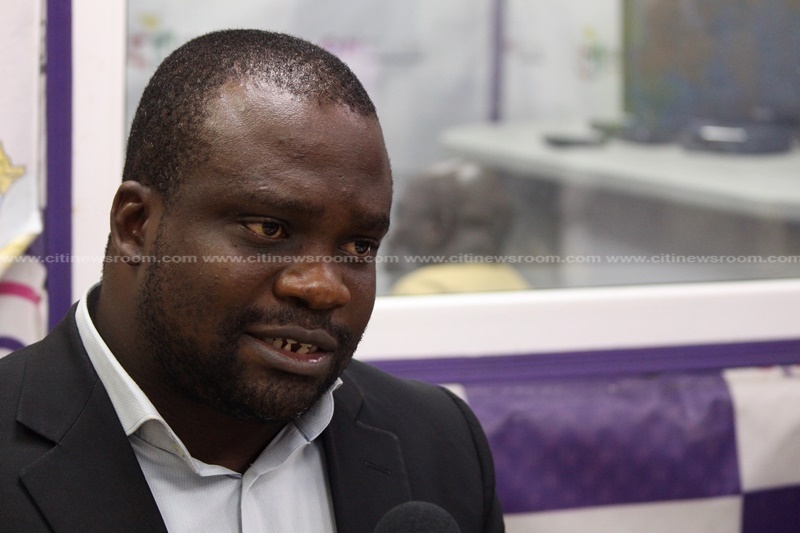 Speaking on Eyewitness News on Monday, Mr Obeng stated that the BBC financed Anas Aremeyaw Anas’ latest investigative piece to use the Ghanaian journalist as a conduit for their agenda against Nyantakyi and Morocco’s World Cup bid. “Kwesi Nyantakyi just wants Ghanaians to know that it was just a scheme against him for the fact that he was [supporting] Morocco’s bid for the 2026 World Cup against United States join-hosting it with Canada and Mexico. Therefore BBC had to come in and do that scheme work against him through Anas Aremeyaw Anas. For that matter, he also had to bring out his side of the story for Ghanaians to know what is his version and also point out the inconsistencies in the whole show to the good people of Ghana. The hosting rights for the 2026 tournament were eventually won by the United States, Canada and Mexico at FIFA’s Congress in Moscow last week. Despite an intense campaign from both sides, the United Bid eventually won the rights by a landslide, earning more than double the tally of the North African nation, who were looking to be only the second African nation to host the World Cup. 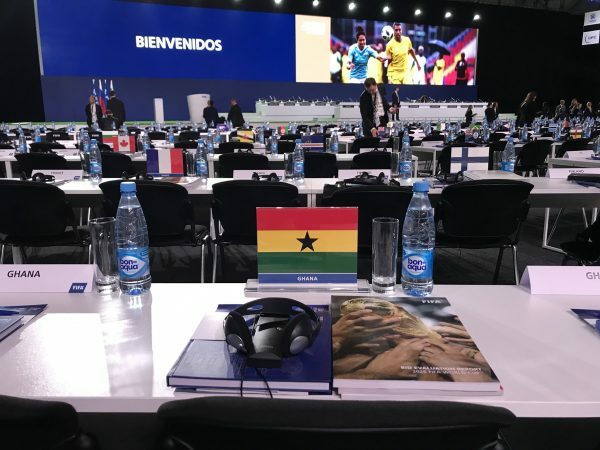 While Ghana’s vote, which the country forfeited due to the ongoing crisis in the country’s football in the aftermath of the premiere of Anas’ exposé might not have made an impact on the final result, there have been suggestions that Morocco’s campaign was ultimately derailed by the damning allegations against the African football’s second most powerful man. This claim is the latest by representatives of Kwesi Nyantakyi and the former GFA boss himself in response to the release of the 2-hour film which appeared to implicate him in some shady deals. In an eight-page statement, Mr Nyantakyi also sought to debunk suggestions in the exposé that he had accepted $65,000 in banknotes in October 2017 from a man claiming to be a member of the Qatari Royal Family. He explained that he was only given $40,000 which was not a bribe, but a refund for his air travel and accommodation. Morocco has tried to host the World Cup five times and failed to win the rights every time. This latest bid came under scrutiny when FIFA Secretary General Fatma Samoura was the subject of an investigation into an alleged conflict of interest. Members of FIFA’s World Cup bid evaluation task force said she had an undeclared family link with Morocco 2026 bid ambassador El-Hadji Diouf. Kwesi Nyantakyi has currently lost his standing, and all positions in local and international football after Anas Aremeyaw screened his latest exposé, dubbed #Number12 which captured him [Nyantakyi] allegedly detailing how he was going to personally benefit from a supposed $15 million sponsorship money for Ghana’s league. Nyantakyi, also detailed to the supposed investor, how he [the investor] could be given several government contracts if he pays bribes to some key government officials such as Ghana’s President and the Vice President. He has since resigned from his positions at the GFA, WAFU, CAF and FIFA, where he served as a member of the world football governing body’s Executive Council. Although Kwesi Nyantakyi is serving a 90-day ban from FIFA, Anas wants him banned for life for the misconduct.